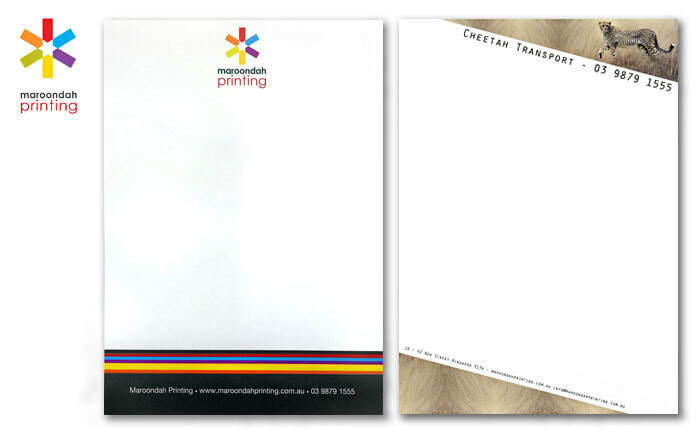 Your customised letterheads should make a bold statement and a lasting impression. When dealing with business, it’s crucial to balance professionalism and personality. Our letterhead and stationery design service allows you to create a polished impression with your own personal flair. Letterheads are best printed in your company colours (PMS Colours) as an Offset print run, for long runs which are cost efficient and colour correct. There are a variety of finishes including specialty papers, embossing and foiling available.